Who can invest with RateSetter? - have a UK bank account. - be a UK resident. We will also need to be able to confirm your identity. We can usually do this automatically, but occasionally we will have to confirm details with you directly. All Investors are responsible for paying UK income tax on their interest earned through RateSetter. The tax you have to pay is dependent on your individual circumstances and subject to change. It is your responsibility to pay the correct tax on your earnings through RateSetter. All borrowers pay a risk-adjusted fee into the Provision Fund. If a borrower misses a payment, the Provision Fund reimburses investors; if the loan goes into default, the Provision Fund takes over the loan and repays outstanding capital to the investors. How does the Provision Fund work? 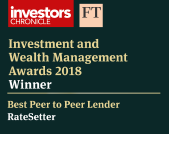 RateSetter pioneered the Provision Fund concept in peer-to-peer lending as a way to offer greater predictability for investors, allowing them to focus on setting the rate they require for their money. It has ensured that no individual investor has ever lost a penny, although past performance is no guarantee of future success. All borrowers pay a risk-adjusted fee into the Provision Fund. If a borrower misses a payment, the Provision Fund reimburses investors; if the loan goes into default, the Provision Fund takes over the loan and repays outstanding capital to the investors. Does RateSetter ever lend through its own Market? Yes, from time to time RateSetter lends directly into its market in secondary loans to facilitate access to lenders. This is always limited and in no way means that access is any more guaranteed. RateSetter does not pay interest on any funds that are held in your RateSetter holding account i.e. not matched to loan contracts. Once a Loan is matched, a Lender is repaid over the term established in the contract. When a repayment is made, the Lender decides whether to reinvest or withdraw. The “Reinvestment” tab in “Your Lending” allows you to automate these decisions. The “Market Rate” setting is one of these reinvestment options - it is set daily and is designed to ensure the Lender’s money is re-invested as quickly and efficiently as possible. The Market Rate is calculated to include the weighted average of all the rates transacted during the previous 28 days. How do I change the rate of an offer already on the market? On your RateSetter account summary page, on the row 'Amount On Market', select change. Choose the market where you would like to change your rate. You will then be presented with three options ,the closer to the front of the lender queue you are, the quicker your funds will get matched with a borrower and start earning interest. If you would like to set your own rate, you can cancel your order and place a new order on the market. How does the RateSetter ISA account work? Investing through the RateSetter ISA works just like the RateSetter Everyday Account, with the added benefit that all the interest you receive is completely free of tax. Both the Everyday Account and the ISA have the same Provision Fund, interest rates, borrowers, and markets. How can I fund my ISA? The fastest way to fund your ISA is by debit card, so that you can immediately put your money on the market and start earning interest. You can also invest by bank transfer or by moving money from your Everyday Account. If you decide to fund your ISA by bank transfer, please note that your RateSetter ISA has a different RateSetter account number to your Everyday Account, so please ensure that you use the correct RateSetter account number as the reference when making your bank transfer. We will send you an email to confirm when we receive your bank transfer. When you know the funds have been received and applied to your RateSetter ISA, please log-in to your RateSetter account so that you can put your money on the market to start earning interest. You can also move money from your Everyday Account holding account to your ISA holding account, as well as any money that is on market (but not on loan) from your Everyday Account to your ISA account. Please see below for more information about moving money that’s on loan from your RateSetter Everyday Account to your RateSetter ISA. If I apply for a loan, how long will it take before the money is in my account? When you apply for a loan through RateSetter, we will give you a lending decision within 1 working day. Once you have accepted the loan, the funds will be transferred in to your account on the next working day and may take up to 6.00pm to be transferred into your account. Can I pay some or all of my loan off early? Yes, you can pay off all or part of your loan early at any time and there are no early repayment fees. You can make additional payments, increase your monthly instalments or repay your loan off in full; all these functions can be managed online. All loan applications must be applied for online. Below is a short guide to applying for a loan with RateSetter. If you ask for a quote, we’ll ask you a few questions so we can tell you how much you can borrow and your likely APR. We'll check your credit history with our credit reference agency. This won't have any impact on your credit rating. We’ll email you in one working day to confirm whether you can get a loan with RateSetter and how much you can borrow. You can then accept the best APR available, which will be matched immediately. We’ll send you the money the day after you’re matched (as long as it’s a working day). Does RateSetter charge Borrowers a fee? And Why? When you apply for a loan, we will tell you all the fees which apply. In addition to the loan and the interest, you will be charged the administration fee and the Credit Rate fee. The fees payable will be dependent on how much you would like to borrow, the repayment term and your personal credit profile. There is nothing to pay up front, all the fees are spread out over the monthly repayments and are included in the total amount repayable. The loan fee allows us to cover our costs. This allows us to create, maintain and service your accounts throughout your journey with us. The loan fee is built into the APR (Annual Percentage Rate) along with your fixed annual interest therefore there are no hidden charges. Please note - the loan fee is non-refundable if you settle your agreement early. The only time this is not chargeable is if you withdraw from your credit agreement within 14 days. I’m stuck in a loop and cannot proceed with my application? Sometimes this happens, we recommend that you close down all windows on your browser and clear all your cookies and cache. Attempt to click on the approval link we issued to you. If you are still encountering problems, contact our Borrower Services team on 020 3142 6226 and we will help you get back on track. Congratulations you have had your loan accepted. The next stage is to sign your documents. Simply click the link sent to you advising of your loan acceptance and carefully read all the documentation. If you are not sure or need further guidance on anything you read do not worry, the loan is valid for 14 days to ensure you are totally happy with your loan agreement. If you are satisfied with the documentation then, after e-signing the agreement, funds will be released the next working day by 6pm. For example, loan signed on Friday 5pm. Funds will be released on Monday by 6pm. Or Signing at Monday 8am – funds will be in your account by 6pm on Tuesday. Please ensure you are using a Laptop or PC rather than a mobile device. If you have forgotten your password, please click [forgot my password]. You will be sent a link to reset your password. Please do not copy and paste the temporary password. Instead please type using a laptop or computer. After successfully signing in, please change your password to a more memorable one. If you wish to change your Security Question/Answer, simply click on ‘Account Preferences’, ‘Contact Details’ and then ‘Change Security Info’. If you still cannot access your account, please contact our Borrower Services Team using [email protected] or 020 3142 6226. Your Repayment date is automatically set 30 days ahead from your contract date, you can amend this. The easiest way to change your direct debit date is online. Please log in to your account and click on ‘Details and Payments’ followed by ‘Change Direct Debit’. At the top of the page, you can confirm which date you would like your direct debit to be changed to. Please bear in mind that we require at least 5 workings days’ notice, before the direct debit is due to be debited from your account, for the changes to take effect. If you change your direct debit instruction with less than 5 days’ notice, the changes will take effect for the following month. How do I apply for another loan or borrow additional funds? We can, sometimes, offer another loan or consolidate your existing loan to provide additional funds. RateSetter will automatically enable the ability to reapply on your online account once you are eligible. We ask for 6 monthly instalments to be made on time and in full, to highlight your ability to manage your loan. Once you have applied this will be considered by our underwriting team in line with our affordability assessments. There is no guarantee that you will be accepted. If you are accepted your additional loan will be paid in line with our time scales, or if you selected a consolidation loan the funds will settle your existing agreement first before paying out the additional funds. Please bear in mind your new payment date may be different to your initial payment date, please refer to “Change your payment date” for advice on how to amend. What type of ISA is the RateSetter ISA? Is the RateSetter ISA a flexible ISA? Can I transfer funds from my Everyday Account to my RateSetter ISA? Yes, but it is not possible to directly transfer existing loan investments into the RateSetter ISA account. This is because for an Innovative Finance ISA, the investment must be in cash. You will need to transfer the matched loans in your Everyday Account to another available investor to release your investment, and then move the cash from your Everyday Account holding account to your ISA holding account to invest in new matched loans. For investments in the Rolling Monthly Market, there is no Transfer fee. For investments in the 1 Year, 3 Year or 5 Year markets, the regular Transfer fee will apply. We will always provide you with an estimate of fees, before you confirm a transfer request. As you know, immediate access to the money on loan in your Everyday Account is not guaranteed so you may need to return later to log-in to your ISA account to complete the process. As with all ISAs, annual investment limits apply. The current limit is £20,000 per tax year across all your ISAs: Cash ISA, Stocks & Shares ISA, and Innovative Finance ISA. You can invest some or all of this £20,000 allowance in the RateSetter ISA, which is an Innovative Finance ISA. You’ll be able to invest up to a further £20,000 in your RateSetter ISA in the 2019-20 tax year, which starts on 6th April 2019. The investment limits for future years will be announced by the Chancellor of the Exchequer in the yearly Budget. Can I transfer existing ISA funds to my RateSetter ISA? Yes, as of April 2018, we accept transfers of ISA funds, which means that if you have Cash ISAs, Stocks & Shares ISAs and other Innovative Finance ISAs, you can transfer some or all funds from those accounts into your RateSetter ISA while retaining the benefit of the tax-free wrapper. What happens if I’ve already opened an Innovative Finance ISA in the current tax year? If you’ve already subscribed to an Innovative Finance ISA in the 2018-19 tax year, you’ll be able to open your RateSetter ISA in the 2019-20 tax year, after 6th April 2019. I have some money in a Cash ISA – can I transfer this to a RateSetter ISA? Yes, as of April 2018, you can transfer existing Cash ISA funds, Stocks & Shares ISA funds and other Innovative Finance ISA funds into the RateSetter ISA. Previous years' ISA subscriptions can be transferred into RateSetter in whole or in part (depending on the terms and conditions of your existing provider). These will not affect your ISA allowance for the current tax year. ISA subscriptions for the current year can only be transferred in full. Can I invest in all RateSetter investment options via the ISA? Yes, you can invest in all RateSetter options – Rolling Market, 1 year market and 5 year market. Does the RateSetter Provision Fund cover investments in the ISA? Yes. The RateSetter Provision Fund protects ISA investors by providing a buffer from poorly performing loans. Will the RateSetter ISA be covered by the Financial Services Compensation Scheme (FSCS)? No. the Innovative Finance ISA is made up of Peer-to-Peer loans which are not covered by the Financial Services Compensation Scheme, so the capital you invest into your RateSetter ISA is at risk. Can I access the money I invest in the RateSetter ISA? Yes. You can access the money at any time by using the ‘Money Out’ functionality in your ISA Account to transfer your matched loans to another available investor and release your investment. You can then move the cash from your ISA holding account to your bank account. For investments in the Rolling Monthly Market, there is no Early Access Fee. For investments in the 1 Year, 3 Year or 5 Year markets, the regular Early Access Fee. We will always provide you with an estimate of fees, before you confirm a transfer request. The Early Access Fee varies by market and is the same for the Everyday Account and ISA: a fixed % of the value of the matched loans to be transferred to an available investor. Note: If you choose to remove funds from your RateSetter ISA, you will lose the ISA tax-free wrapper around these funds. As the RateSetter ISA is a flexible ISA, under certain circumstances, you could replace those funds at a later date. Are there any ISA fees? There are no ISA-specific fees. The fees that apply are exactly the same as for the Everyday Account. How is the RateSetter ISA different to other types of ISA? You may already be familiar with ISAs that allow tax-free saving and investment in stocks and shares – these types of ISA have been available for many years now. RateSetter’s ISA is an Innovative Finance ISA. Innovative Finance ISAs allow people to receive tax-free returns from investing in peer-to-peer loans. It is important to remember that investing in peer-to-peer loans means that you are putting your capital at risk. Why do I need an Everyday Account as well as an ISA Account? Having an Everyday Account as well as an ISA account provides you with more flexibility e.g. in the event that you subscribe more than your annual ISA allowance, any excess can be routed to your Everyday Account. You are not required to invest via your Everyday Account, you can have the balance at £0. We just need that account to be open and work in tandem with your ISA Account. Is there a fee to Transfer Out my ISA or ISA funds? There is no fee associated with Transferring Out your ISA or ISA funds to another ISA Manager (once any matched loans have been transferred to an available investor). However if you are invested in the 1 Year or 5 Year market you might be charged an Early Access Fee (0.3% and 1.5% respectively). Many Borrowers choose to borrow through RateSetter as our APR rates are often much cheaper, we have no early repayment fees and accounts are easy to manage online. Add that to the speed of our application process (instant quote available online, and 1 day to receive a credit decision), and it’s a winner. Not to mention our lovely customer service team, who are available at the end of the phone to help you with any questions you may have. Can I get a quote without applying for a loan? Yes. Our quotes carry no obligation for the Borrower. If you register for a quote, we’ll ask you a few questions so we can tell you how much you can borrow with RateSetter and your likely APR. We'll then carry out a "soft search" of your credit history with our credit reference agency. This won’t have any impact on your credit score. This process is completely free and without obligation - Borrowers only pay a fee if they decide to take out a Loan - the fees and the interest are spread out over the entire term of the loan, there is nothing to pay upfront. From the point of your application being approved, you can log in to your account at any point up to 2 weeks to accept your loan online. If you would like to wait before accepting your loan, once the 2 weeks have expired there will be a link in your account to"Reinstate Credit Request." If you click on this link, we will reinstate your credit limit so you can take out your loan provided your financial status has remained consistent since the original application. Is there a limit to how much people can borrow through RateSetter? Every borrower is given an individual limit depending on their credit history, financial position and ability to afford the loan and taking into consideration whether the loan is secured or unsecured. What's the minimum and maximum amount I can invest? Our minimum investment amount is £10 and there is no maximum investment limit, although RateSetter might limit the amount an individual can invest in any single market. Can a Company or Trust invest through RateSetter? Yes, if investing money isn’t its main business, a Company or Trust can invest with RateSetter as part of managing their treasury and cashflow. RateSetter is an anonymous service and all credit, affordability and suitability checking is done by RateSetter, and is not displayed on our website. Some other peer-to-peer sites let you judge the potential borrowers so you can make a decision about a specific borrower or types of borrowers. At RateSetter we do the work for you – we take borrower applications, vet them, and take a Credit Rate from successful applicants which grows the Provision Fund. We think this is a simple way of managing risk. The Personal and Commercial borrowers who are accepted are creditworthy and have been rigorously assessed by our specialist Credit Underwriting Teams against stringent criteria. We carefully examine their credit file, personal or business finances and circumstance to understand their financial position and ability to service the loan. The majority of loans are unsecured but we also write some secured loans. We don’t judge simply on the basis of how much they want to borrow: it is very important to understand whether the loan is affordable for the borrower in the context of monthly personal or business outgoings. This stringent process means that we actually decline the majority of applications. Those who are accepted are exactly the people or businesses that our investors would expect: creditworthy borrowers who can sensibly afford a loan. Registered RateSetter members can transfer funds to RateSetter by Bank Transfer, Debit Card, Regular Lender Instruction or Standing Order. To transfer funds, log into the 'Lending' section of your account and follow the simple instructions under the "Money In" tab. Using our Regular Lender feature you can now arrange for monthly deposits to be paid into your RateSetter account via Direct Debit Instruction. This feature also allows you to automatically lend funds in the market of your choice. We aim to credit all funds to your RateSetter account within 1 working day. To set up a Regular Lender instruction, simply login to your RateSetter account and follow the instructions under the "Regular Lender" tab. RateSetter pioneered the Provision Fund concept in peer-to-peer lending as a way to offer greater predictability for investors, allowing them to focus on setting the rate they require for their money. It has ensured that no individual investor has ever lost a penny, although past performance is no guarantee of future success. How do I withdraw Funds from RateSetter? To withdraw funds from RateSetter to your designated bank account, log-in to 'Your Account' and click the "Withdraw" link on the left hand menu. Excellence in underwriting: robust credit and affordability checks on all borrowers. Portfolio management: Our loan book is diversified across many borrowers of different types and channels. The Provision Fund: if a borrower misses a payment, the Provision Fund reimburses the investor; if the loan goes into default, the Provision Fund takes over the loan and repays outstanding capital to the investors. RateSetter was founded in 2010 by ex-Lazard investment banker Rhydian Lewis and former Ashurst lawyer Peter Behrens. The business has quickly garnered a user base of more than 300,000 RateSetters, with peer to peer lending taking off in the UK. Can I see previous rates matched on RateSetter? We display our historical rates and market information within our website. Why is my actual rate of return less than what was displayed on the website? Our displayed rates of return assume that an Investor is reinvesting their repayments in the same market, at the same rate. If you have calculated your rate of return and it is less than the one which was displayed on the website, this may be that you have not reinvested your repayments, or have reinvested them at a lower rate than the original rate you agreed. RateSetter is a Peer-to-Peer finance company, which essentially means that instead of borrowing from a bank, you can borrow from ordinary customers and investors for a lower APR. It’s a win-win situation; you get a lower APR and Lenders get a better return on their money. Why are your APRs cheaper than other lenders? What's the catch? The main reason our rates are cheaper than the rates offered by the banks is that we are a Peer-to-Peer lending company. With a bank, they use deposits from savers to lend to Borrowers and charge high APRs, keeping the profits for themselves. With us, you get to cut out the banks and borrow direct from Lenders and investors. Most of them are ordinary people wanting to get better interest rates than if they were to put their money in a savings account and so they are happy to accept lower APRs than the banks would charge. As we are internet based, we also don’t have the same overheads as banks do with multiple branches, so this helps keep the costs down. The Market Rate is automatically calculated in each market every day. The rate is set by taking a weighted average of all the rates transacted during the previous day between 6am and 10pm. The Lender’s repayment is then submitted to the market as an order. If the order is not matched on that day, it will be updated to the next day’s Market Rate should it be lower. Can I invest funds through a SIPP? Yes, peer-to-peer loans can be included in SIPPs. If you are interested in lending through your SIPP, please ask your SIPP provider. Peer-to-peer lending is a relatively new form of investment and so understandably a lot of SIPP providers are unsure about it but technically there is no reason you cannot include your peer-to-peer investments like RateSetter in your SIPP. Can I access my money on loan in an emergency? You can access your money that is on loan at short notice using the ‘Release Your Investment’ function. This will allow you to sell your contracts provided there is a new lender available to match your existing loans. On the ‘Money Out’ page click through to Release your Investment. You can then enter the amount that you would like to withdraw from any given market. Click "Proceed to Quote" and RateSetter will automatically identify the amount of loans to be sold to achieve the amount you would like to access. It will show the calculation of the interest to be paid and any fees due. You can then click ‘confirm’ to proceed. Once a Loan is matched, a Lender is repaid over the term established in the contract. When a repayment is made, the Lender decides whether to reinvest or withdraw. The “Reinvestment” tab in “Your Lending” allows you to automate these decisions. For those RateSetters who want control you can select your own rate to reinvest at. This will not be impacted by the market and offers your money at the exact rate you set. Selecting this option does mean that your money could sit on the market not earning interest if your rate is too high. Similarly, if you set your rate too low you may not get the maximum return that is possible. It does, however, give you complete control. Since launching in 2010 RateSetter has raised over £40m in equity from private investors and investment funds. Why do people borrow through RateSetter not a bank? RateSetter only offers loans to Borrowers who have decided to search for an alternative to a bank. RateSetter loans are listed on most of the Price Comparison sites and we work closely with them to attract creditworthy Borrowers. Borrowers choose RateSetter because they can get a better rate than their bank will offer, with the promise of a quick application process, great customer service and no early repayment penalties. These features have seen RateSetter's loan products highly ranked by both Personal and Commercial Borrowers as well as consumer organisations. It's important to recognise that RateSetter is competing with mainstream banks and building societies for those Borrowers; that they are not people who cannot find finance elsewhere. Please login to your account and click on 'Your Lending'. On the left hand side of the page, there is a menu of options. Directly under the 'Your Portfolio' section, please click on the relevant market which contains the order you would like to change. When the main market page comes up, click on the plus sign next to 'Unmatched' to expand that section. You will then need to click on the 'change' link on the right-hand side of the order number. Am I responsible for paying tax on my investment? Yes, Investors investing money through our Everyday account are responsible for paying any tax due on their investment. We do not deduct any tax. Do RateSetter offer real estate loans? RateSetter do offer some real estate loans to experienced property developers and investors with excellent track records. We assist them with funding new developments and renovations, which are primarily residential, plus existing investment properties. Our real estate loans are up to £7.5m. RateSetter fully assesses the people behind the business and the underlying real estate to ensure the funding is viable. We undertake this on a conventional basis, looking at financial information both historic and projected, but also a hands on review of the real estate. Our team of underwriters have lengthy experience and fully qualified to make an assessment on each and every deal. Why do RateSetter provide business investing as well as retail? The more people who join the RateSetter marketplace and the wider the participation, the stronger the market gets - which benefits everyone. 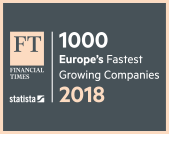 Our job is to build the diversity of the RateSetter marketplace so we can provide our investors with opportunities that deliver the returns they expect alongside the detailed borrower assessment they have become accustomed to and our borrowers with a source of reliable funding at competitive rates. All of our lending undergoes rigorous assessment by our specialist credit underwriting teams against stringent criteria. We carefully examine their credit file, personal or business finances and circumstance to understand their financial position and ability to service the loan. What are RateSetter's default rates? At RateSetter we’re committed to providing transparent information, including what our default rates are. You can get stuck in to the numbers on the RateSetter loan book performance page. How does RateSetter manage conflicts of interest? In line with FCA requirements, RateSetter has a policy to identify and manage any conflicts of interest that arise as a result of business activities. We actively monitor for and identify conflicts of interest and ensure mitigation of any risk of customer detriment that could can result. Our policy is to always act in the best interests of our customers and uphold the highest moral and ethical standards at all times. How do I transfer funds into RateSetter? Registered RateSetter members can transfer funds to RateSetter by Bank Transfer, Debit Card, Regular Lender Instruction or Standing Order - the terms for each are set out in the table below. To transfer funds, log into the 'Lending' section of your account and follow the simple instructions under the "Money In" tab. Using our Regular Lender feature you can now arrange for monthly deposits to be paid into your RateSetter account via Direct Debit Instruction. This feature also allows you to automatically lend funds in the market of your choice. We aim to credit all funds to your RateSetter account within 1 working day. To set up a Regular Lender instruction, simply login to your RateSetter account and follow the instructions under the "Regular Lender" tab. To withdraw funds from RateSetter to your designated bank account, log-in to 'Your Account' and click the "Withdraw"link on the left hand menu. You can set your account to automatically transfer funds from your RateSetter Holding Account to your bank account. You can change this at any time. This can be set to be done once per week or once per month. You can select to have ALL of your current balance withdrawn, or a fixed amount each time. Note that withdrawal requests are always processed on the next working day. You can withdraw available funds from your "Holding Account" at any time using the methods in the table below. If I deposit funds into my account, how long before it is matched to a Borrower? This can vary from a few minutes to several days or more. It all depends on what rate you are offering and what the Borrowers are willing to accept. Can I draw an income from the interest and reinvest the capital? Yes, we have a new account feature where you can select to withdraw the interest from an investment, whilst re-investing the capital. This will allow you to draw an income, whilst leaving the capital untouched. Alternatively, you can still choose to reinvest all the funds (capital and interest) if you wish to. You can also control these settings on each individual market through your reinvestment page. We have a new Auto-Withdrawal feature, which enables you to choose the intervals at which the funds are sent and choose the specific day on which the funds are withdrawn. If you would like any help using this new feature, please contact our customer service team on 0203 142 6226 and they will be happy to advise you. Please note that you will need to have made a successful withdrawal before being able to use the auto-withdrawal feature. When you apply for a loan through RateSetter, we will give you a lending decision within 1 working day. Once you have accepted the loan, the funds will be transferred in to your account on the next working day. If all the information you provided is accurate. You could be given an instant decision. Congratulations you have had your loan accepted. The next stage is to sign your documents. Simply click the link sent to you advising of your loan acceptance and carefully read all the documentation. If you are not sure or need further guidance on anything you read do not worry, the loan is valid for 14 days to ensure you are totally happy with your loan agreement. If you are satisfied with the documentation then, after e-signing the agreement, funds will be released the next working day by 6pm.For example, loan signed on Friday 5pm. Funds will be released on Monday by 6pm.Or Signing at Monday 8am – funds will be in your account by 6pm on Tuesday. Unfortunately, in these instances, our credit team have declined your application for a loan. As a Peer-to-Peer Lender, our criteria for lending are different from traditional lenders. As it is our investor’s money which is being lent, we take seriously the need to be as responsible as possible in our lending decisions. This means our lending criteria are higher than most lenders. We generally only accept borrowers with an “A” credit rating, amongst our other criteria. Our credit team do not give us specific reasons for applications being declined or approved, but the three main considerations are the affordability of the loan, your credit score and past credit history. Your RateSetter application leaves no impact on your credit file, which makes it easier for you to try with another Lender.If you wish to reapply with RateSetter we cannot accept any new applications for 6 months. After this time elapses we will welcome a new application. Does this leave a mark on my credit file? RateSetter conducts a soft search on your credit file, to give us an insight into your debt history & creditworthiness. This allows us to make a personalised quote. Don’t worry this is not visible to other lenders. If you decide to go ahead with the loan we will conduct a hard credit search which will appear to other lenders. GiffGaff and RateSetter have teamed up to provide quality finance for quality handsets. To apply simply visit www.giffgaff.com and after selecting the phone you wish to purchase RateSetter will handle the financing of the handset for you. The airtime tariff and delivery of the handset will still be handled by GiffGaff. However your payments will be made directly to RateSetter for the handset.For help on the application process please email [email protected] and one of our advisors will get you back on track. This could be caused by a direct debit date change, if this has moved there may be additional or less interest, hence why your instalment amount has changed. Also, if you have made a one-off payment this could reduce the next instalment if you have opted to retain the term. Simply log in to your account and go to the ‘Your Borrowing’ tab on the top navigation. You can then click on the ‘Details and Payments’ button next to your current loan. If you would like to pay off your entire loan outright, please scroll down to the section entitled ‘pay off your loan’. You can then pay the entire amount by debit card or opt to have the funds debited from your account at a future date by direct debit. If you choose the direct debit option, please select the date you on which you would like the funds to be debited from your account. The system will then calculate the final payment, depending on which day you select. In the meantime, please do not cancel your direct debit instruction until we have contacted you to let you know that your account has been settled, as you may have a regular monthly payment due. We will usually notify you within a few days of the payment being received. Can I make a “lump sum” payment? Of course you can! Simply log in to your account and go the “Your Borrowing” tab on the top navigation. You can then click on the “Details and Payments” button next to your current loan. If you would like to make additional payments, to clear your loan quicker, please scroll down to the bottom of the page to the section entitled “Add Extra Payment”. You can then pay by debit card or opt to have the funds debited from your bank account at a future date. If you would prefer the latter, please select the date you on which you would like the funds to be debited from your account. The amount paid will be deducted from the total balance of your loan. Once the payment has cleared, your term will automatically reduce. Should you wish to reduce your instalments and keep the term of the agreement the same, please contact [email protected] or 020 3142 6226 and our team will make this amendment for you. You can increase your monthly payment to Ratesetter, in turn this will pay your loan off faster and may save you interest. We cannot reduce your monthly instalments without a lump sum payment being made prior. If you are struggling with your instalments, please refer to 'struggling to make repayments' or give us a call on 020 3142 6226 To increase your monthly repayments you will need to speak to a member of our team on 020 3142 6226 they will inform you of the amendment and ensure this is acceptable prior to making the changes. How do I change the bank account for my monthly payments? If you have changed your bank account through the Current Account Switch Guarantee, this means your new bank will take care of closing your old account, moving your balance and switching your payments (direct debits). You do not need to inform us. If you wish to pay your instalments from another account in your name, you must contact us to ensure you are legally entitled to switch your bank account. Please call us on 020 3142 6226. How do I change personal details, such as name, address & telephone number? We are currently working hard on improving this, with a view to enable customers to make necessary amendments via their own online accounts. In the interim, please email [email protected] and our team will make all necessary amendments and notify you of their completion. Please keep an eye out for an update to this section with advice on how to amend yourself in the future. Please ensure you are using a Laptop or PC rather than a mobile device. If you have forgotten your password, please click forgot my password. You will be sent a link to reset your password. Please do not copy and paste the temporary password. Instead please type using a laptop or computer. After successfully signing in, please change your password to a more memorable one. If you wish to change your Security Question/Answer, simply click on ‘Account Preferences’, ‘Contact Details’ and then ‘Change Security Info’. The loan fee allows us to cover our costs. This allows us to create, maintain and service your accounts throughout your journey with us. The loan fee is built into the APR (Annual Percentage Rate) along with your fixed annual interest therefore there are no hidden charges. Please note - the loan fee is non-refundable if you settle your agreement early. The only time this is not chargeable is if you withdraw from your credit agreement within 14 days. What are the risks of borrowing from RateSetter? The general risk of borrowing with us is the same as the risk of borrowing from any other provider. You will need to consider if the repayments are affordable for you on a monthly basis. You will also need to ensure you have a plan in place should your employment circumstances change. What types of Real Estate Finance do RateSetter offer? RateSetter provide both property development finance and investment property finance. Development finance is lending to develop or convert properties. Investment property finance is lending for properties that are being used to earn income via lettings to third parties. For development finance we will lend up to 75% of the total costs, including construction, legal and finance; and up to 65% of the Gross Development Value of the development. For investment property finance we will lend up to 65% of Market Value. faq_borrower_How can I apply for a real estate loan? Any experienced property developer or property investor can apply for a real estate loan. We can lend to individuals, partnerships or limited liability companies. If you fall within these categories you can make an enquiry by emailing [email protected] or calling 020 3142 6226, with details of your proposal, including the borrowers name, the amount your wish to borrow and any other relevant information. What do Investors know about me? Do they know who I am? RateSetter is an anonymous service. Our Investors don’t know anything about you other than a reference number and the details of how much money you want to borrow, the APR you want to pay and the length of your loan. All credit, affordability and suitability checking is done by RateSetter, and is not displayed on our website. Who can borrow through RateSetter? Our borrowers are both individuals and businesses. To borrow with RateSetter as an individual you need to be at least 21 years old, have a good credit history and a regular income. Unfortunately, we are unable to accept applications from residents of the Channel Islands or from those living abroad. RateSetter was founded in 2010 by ex-Lazard investment banker Rhydian Lewis and former Ashurst lawyer Peter Behrens.The business has quickly garnered a user base of more than 300,000 RateSetters, with peer to peer lending taking off in the UK. Receive an immediate personalised quote, Simply tell us a few more details if you wish to apply, this will not affect your credit file. Receive a decision within 2 working days. Our Team may ask for additional information to aide us on making our decision. Once approved funds will be in your bank account within 2 working Days.Your Credit file will be marked once you accept your loan offer. When you apply for a loan, we will tell you all the fees which apply. In addition to the loan and the interest, you will be charged the administration fee and the Credit Rate fee. The fees payable will be dependent on how much you would like to borrow, the repayment term and your personal credit profile. There is nothing to pay up front, all the fees are spread out over the monthly repayments and are included in the total amount repayable.Why borrow through RateSetter?Many Borrowers choose to borrow through RateSetter as our APR rates are often much cheaper, we have no early repayment fees and accounts are easy to manage online. Add that to the speed of our application process (instant quote available online, and 1 day to receive a credit decision), and it’s a winner. Not to mention our lovely customer service team, who are available at the end of the phone to help you with any questions you may have. Can I Get a RateSetter loan? It only takes a few minutes to get your no obligation quote with RateSetter. - have a good credit history and a regular source of income. - have been resident in the UK for at least 3 years. If you meet these requirements, the first step is to obtain a quote via the website. If you are happy with the provisional interest rate offered, you may go ahead and make a full application online. My payment was missed, what should I do? First, do not panic, things happen we understand.You can make your payment online through your online account via Debit Card or Direct Debit or you can contact us on 020 3142 6226 to make your payments with an agent.If you are unable to make your payment immediately, you will receive notification of the missed payment and a date when we will resubmit for the payment. If this date is not suitable please contact our team on 020 3142 6226 and we can amend the date for you. If you are experiencing difficulties, please refer to 020 3841 9950. Our team can help. How does RateSetter collect repayments from borrowers? Payment is arranged by direct debt, to be collected once a month. Your first repayment is usually scheduled to be debited one calendar month after you accept your loan. You can change your direct debit date online, through your RateSetter account. If you have already begun to make repayments on your loan, please bear in mind that we require at least 10 workings days notice before the direct debit is due to come out of your account for the changes to take effect. If you change you direct debit instruction with less than 10 days notice, the changes will take effect for the following month. I am struggling to make my repayments, what should I do? What happens if I am having difficult repaying my business loan? What happens if I miss a monthly repayment? If you miss a monthly repayment, a notice of sum of arrears will be issued and we will attempt to take a direct debit payment within the next 5-days. If you’re struggling to service your borrowing please contact us immediately. What happens if my business enters a form of insolvency? If your business enters a form of insolvency please contact us immediately and we will liaise with the parties dealing with this matter. At RateSetter we put our customers' best interest first. We recognise that award winning customer service is not just about the good times, it’s about how we help you when things don’t go as planned. That’s why if we make a mistake, we promise we'll go out of our way to make it right.If you are unhappy with any aspect of our service and would like us to look into your concerns further, please do not hesitate to get in contact Click here to see how. Do you sell Payment Protection Insurance (PPI)? No, we do not sell any insurance. It is extremely unlikely that RateSetter will go into administration but we of course have to plan for all contingencies. If RateSetter were to fail (or close to new business for whatever reason), we have a fully funded plan in place to ensure that our lenders' loans are repaid according to the schedule. The funding of the plan comes from a combination of the income RateSetter receives from the loans plus any shareholder capital required.In the unlikely event that RateSetter goes into administration, the contracts between Lender and Borrower are still legally valid and will not change. Borrowers will have to make payments to Lenders as usual. What happens if the Investor passes away? If the Investor were to pass away, your loan would carry on as it is.When you take out a loan with us, the amount you pay to each Investor is fixed in your contract. This means if your Investor was to be declared bankrupt or passes away, we would ask you to carry on paying the monthly instalments as usual. You would not need to repay the whole amount at once.